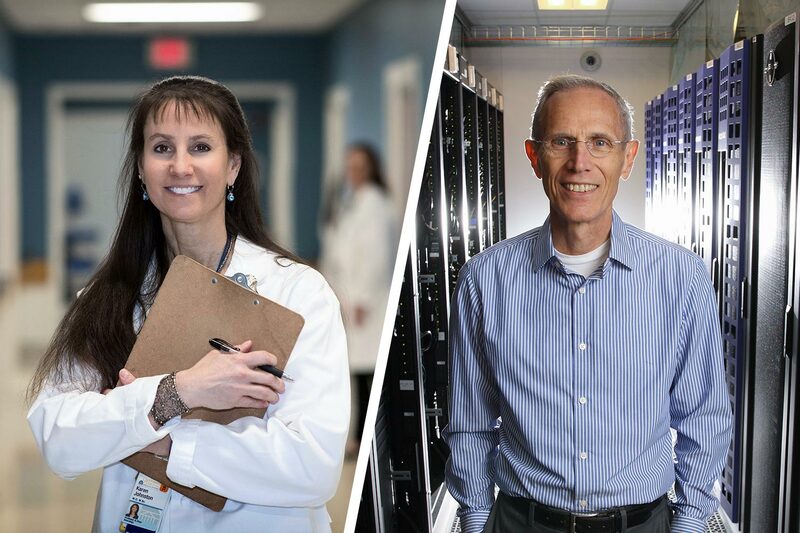 The National Institutes of Health have awarded the integrated Translational Health Research Institute of Virginia a five-year grant of nearly $23 million to advance innovative ideas from the point of discovery to implementation in clinical practice and population health. “iTHRIV” includes the University of Virginia, Inova Health System, Virginia Tech and Carilion Clinic as partners, with the Center for Open Science and UVA’s Licensing & Ventures Group as affiliates. The focus of iTHRIV is “using data to improve health” and leverages data science expertise from across the state. Translational research is the process of applying knowledge from basic biology and clinical trials to improve health outcomes for patients. Each partner brings resources and expertise in doing research with patients in areas of greatest need. The overarching goal of iTHRIV is to support research that benefits Virginia’s rural and urban populations by optimizing the use of data science. The NIH Clinical and Translational Science Awards program, supported by the NIH’s National Center for Advancing Translational Sciences, provides resources for researchers across the statewide consortium, trains the next generation of biomedical and health scientists and collaborates with community partners to improve health. The national Clinical and Translational Science Awards network includes approximately 60 institutions around the country that are recognized as elite clinical and translational research institutions. iTHRIV brings together distinctly different areas of expertise, including translational research, clinical research and data science, and its multi-principal investigator leadership reflects this design, including UVA’s Dr. Karen C. Johnston, an expert in clinical trials and a neurologist who specializes in caring for patients with acute stroke; and Donald E. Brown, a data scientist and systems engineer who was the founding director of the UVA Data Sciences Institute. Leadership from Virginia Tech and Carilion includes Warren Bickel, co-director of Virginia Tech-Carilion’s Center for Transformative Research in Health Behaviors; Dr. Paul Skolnik, chair of the Virginia Tech-Carilion School of Medicine and Carilion’s Department of Internal Medicine; Michael J. Friedlander, Virginia Tech’s vice president for health sciences and technology and executive director of the Fralin Biomedical Research Institute at Virginia Tech-Carilion ; Audra Van Wart, assistant vice president for health sciences education at Virginia Tech; and Kathy Hosig, director of the Virginia Tech Center for Public Health Practice and Research in the Virginia-Maryland College of Veterinary Medicine. At Inova, Dr. John Niederhuber, CEO of the Genomics and Bioinformatics Research Institute, leads the program. “Translational research is essential to the development of new medical treatments that address currently unmet patient needs. By nurturing the translational research enterprise in Virginia, this grant to iTHRIV will help our researchers work together more effectively to make tomorrow’s breakthroughs,” said Dr. Mickey Y. Kim, senior vice president of research and commercialization and the head of Inova Translational Medicine Institute. Train and nurture the clinical and translational science workforce. Engage patients and communities in every phase of the translational process. Promote the integration of special and underserved populations in translational research across the human lifespan. Innovate processes to improve the quality and efficiency of translational research. The NIH award consists of grants 1 UL1 TR003015-0 and 1 KL2 TR003016-01. For information about the NIH Clinical and Translational Science Awards program, click here. For more information about iTHRIV, click here.